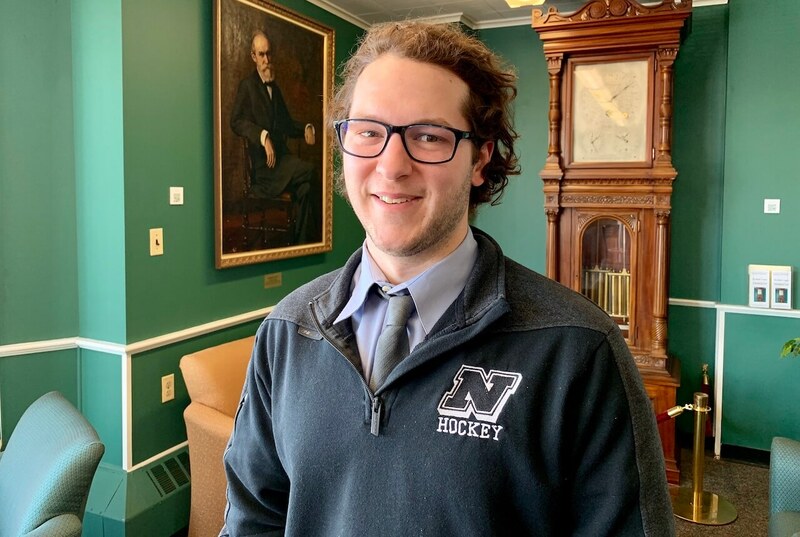 Nichols College senior Ian Spencer co-captains the men’s ice hockey team and has played a big role in the team’s winning seasons over the past four years. He points to last year’s Commonwealth Coast Conference championship and the team’s performance in the NCAA Division III tournament as the high points in his playing career. Veteran journalist Ronald Schachter teaches journalism and is senior writer at Nichols College in Dudley, Mass. Academic Affairs, Slider, Students academics, athletics, charity, hockey, Hockey Players for Humanity, Ian Spencer, marketing, Schachter, sports, student profile. permalink.